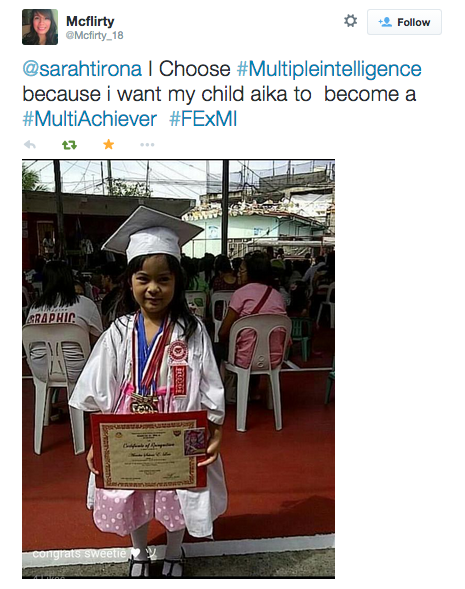 Congratulations Edralyn Reyes and @McFlirty_18!!! And please, keep sending in those entries! Will choose another set of winners in a couple of weeks! 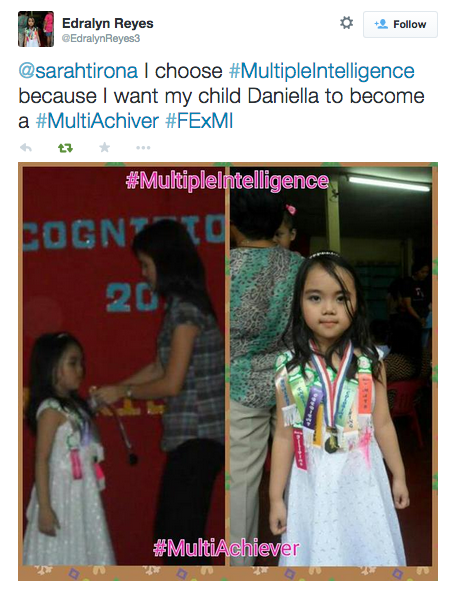 "I choose #MultipleIntelligence because I want my child (name of your child) to become a #MultiAchiever. 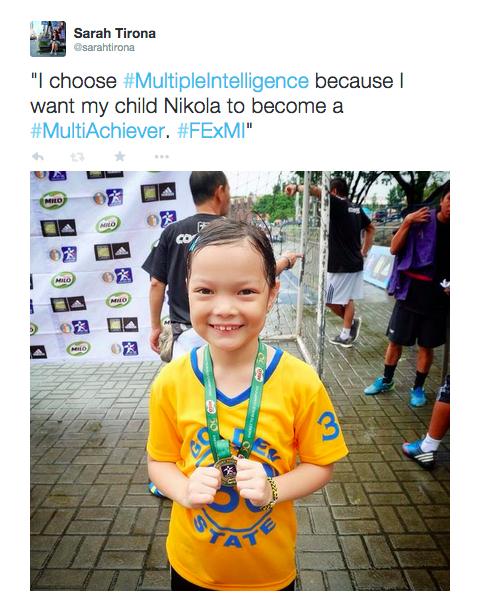 #FExMI"